In the previous writing we highlighted the actions taken by the NAIC that will impact the filing of the 2018 Notes to the Financial Statements. To continue the series, we now assess the changes made to the rest of the annual statement. This is of particular importance as Gain Compliance continues to develop a full statement filing solution, which has already created a buzz of anticipation among our existing customers. 2016-35 BWG (and 2017-26BWG) – These updates combine Schedule F, Parts 3, 4, 5, 6, 7 & 8 into a new single Schedule F, Part 3 – Ceded Reinsurance. For consistency with changes to Schedule F, Part 3, the under $100,000 aggregation was eliminated on Schedule F, Part 1. In addition, consistency changes were made, including Schedule F, Parts 1 and 2, of the Life Workers’ Compensation Carve-out Supplement. 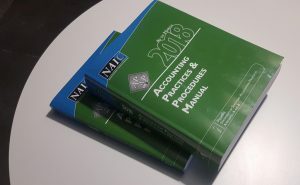 Lastly, calculations, references, and various other updates to the annual statement instructions were made to accommodate the aforementioned modifications. 2017-21BWG – This update adds language to require the filing of merger history with the NAIC if the General Interrogatory merger questions (5.1 annual and 4.1 quarterly) are answered “YES”. This will reduce the number of crosscheck failures that result from the company being a part of a merger. 2017-23BWG – The annual statement instructions were modified to require the filing of the Life, Health and Annuity Guaranty Association Model Act Assessment Base Reconciliation Exhibit (“LHAG”) and the Adjustments to the Life, Health and Annuity Guaranty Association Model Act Assessment Base Reconciliation Exhibit (“ALHAG”) by companies that are members of the life, health and annuity guaranty associations and write the respective lines of business. 2017-24BWG – This modification adds new category lines for bank loans to Schedule D (Parts 1, 3, 4 and 5), Schedule DA, Schedule DL (Parts 1 and 2), and Schedule E, Part 2 and adjusts the category line number reference in the Default Component – Basic Contribution, Reserve Objective, and Maximum Reserve Calculations. 2018-01BWG – This adoption updates the language on Schedule D, Part D, Section 1 regarding exchange-traded derivatives and centrally cleared derivatives to clarify the reporting of “cleared derivatives”. 2018-03BWG – The definition of “supranational” was added to the Supplemental Investment Risks Interrogatories section of the annual statement instructions. 2018-04BWG – This update clarifies the coding for types of reinsurance/reinsurance business for Schedule S, Part 1, Section 2 and Schedule S, Part 3, Section 2. In addition, Schedule S, Part 1, Section 1 and Schedule S, Part 3, Section 1 removed the codes “GMDB”, “GMDBFW”, “ADB”, “DIS”, along with the annuity-specific references. Lastly, the modification added a “Type of Business Assumed” column to Schedule S, Part 1, Sections 1 and 2. 2018-05BWG – This adoption modifies the instructions for the Property/Casualty Statement of Actuarial Opinion to incorporate the AG 51 requirements, in addition to increasing disclosures for Accident and Health (A&H) insurance reported on the P/C annual statement blank. 2018-06BWG – This modification added “999” to the end of all line numbers within Schedule DB, the number of lines available have increased from 9,996 to 9,999,996, which eliminates the need to accumulate data within certain categories. 2018-07BWG – This adoption includes various updates to the annual statement instructions related to the investment schedules. Specifically, “PL” and “PLGI” symbols were added to identify private letter rated securities. The definition of “Z” as a symbol was modified to indicate a security is in transition from one reporting status to another. Symbols “YE” and “IF” were added to identify a new “carry-over” administrative procedure of the SVO. Lastly, a new general interrogatory for PL securities issued prior to January 1, 2018 was introduced. 2018-10BWG – This update modifies the instructions for Line 2 of the Interest Maintenance Reserve (“IMR”) and Line 2 of the Asset Valuation Reserve (“AVR”) regarding the bifurcation of other-than-temporary impairment (“OTTI”) for investments subject to SSAP No. 26R – Bonds. 2018-11BWG – Additional instruction was added to clarify that insurers should not report investments on the Schedule BA categories “Fixed or Variable Interest Rate Investments that Have the Underlying Characteristics of a Bond, Mortgage Loan or Other Fixed Income Instrument” or “Joint Ventures or Partnership Interests for Which the Primary Underlying Investments are Considered to Be Fixed Income Instruments” if there is a specific line category for the investment. 2018-13BWG – To allow for consistency with the changes made to the Valuation Manual, this update modifies the VM-20 Reserves Supplement – Part 3 and Exhibit 5 and related instructions, along with the addition of VM-20 Reserves Supplement – Part 4. The addition of Part 4 is for the reporting of “Other Exclusions from Life PBR”, including those granted single state exemption and reporting the risks for policies issued outside the state of domicile. 2018-14BWG – This adoption splits Column 2 for Question 1.01 in the Separate Accounts General Interrogatories in to two new columns: “Registered with the SEC” and “Not Registered with the SEC”, which required the renumbering of columns. Question 101A for private placement variable annuities and private placement life insurance was also added. 2017-25BWG – Language was added to the instructions regarding the inclusion of restricted cash or restricted cash equivalents in the beginning and ending balance of the cash flow statement.